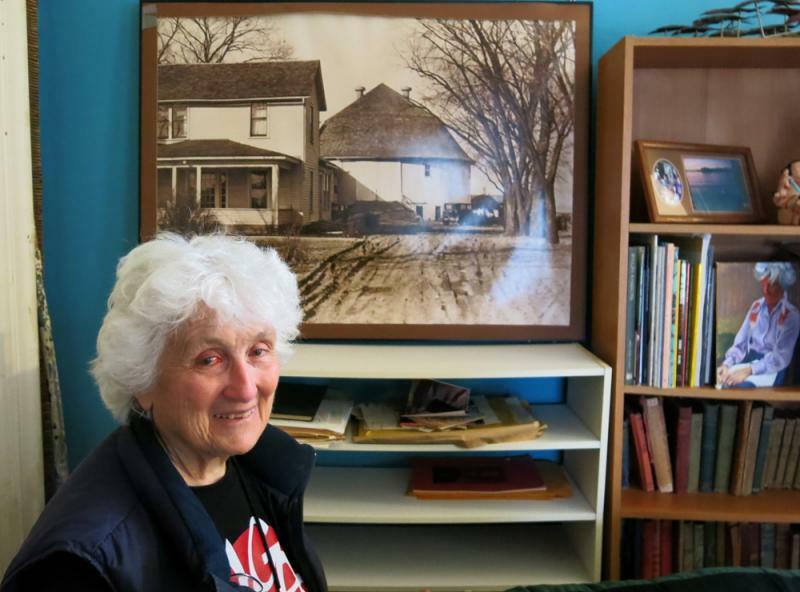 Retired professor Jackie Dougan Jackson lives in Springfield, Ill., but devotes a lot of time reflecting on her childhood growing up on a farm near Beloit, Wis.
Jackson’s family farm featured a rare, distinctive round barn. This is an installment of the 2013 edition of My Farm Roots, Harvest Public Media’s series chronicling Americans’ connection to the land. 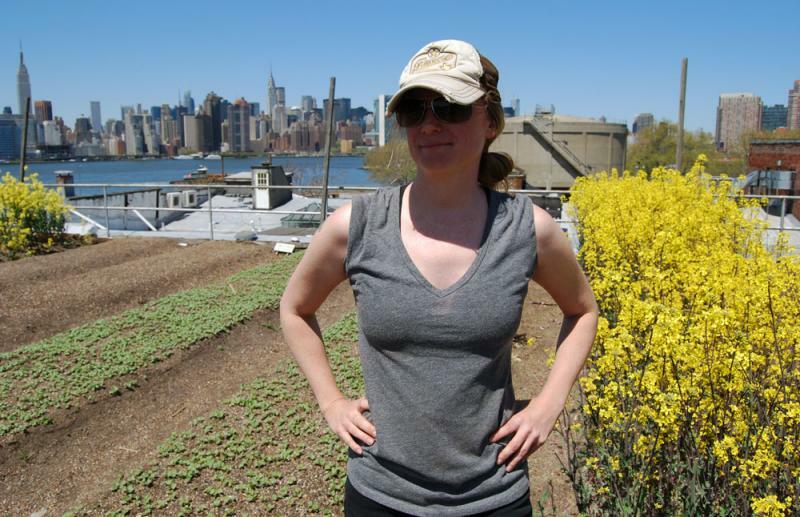 Click here to explore more My Farm Roots stories and to share your own. Jackie Dougan Jackson keeps a pretty thorough log of her life. The 85-year-old retired college professor lives in Springfield, Ill., and has lived there for more than 40 years. 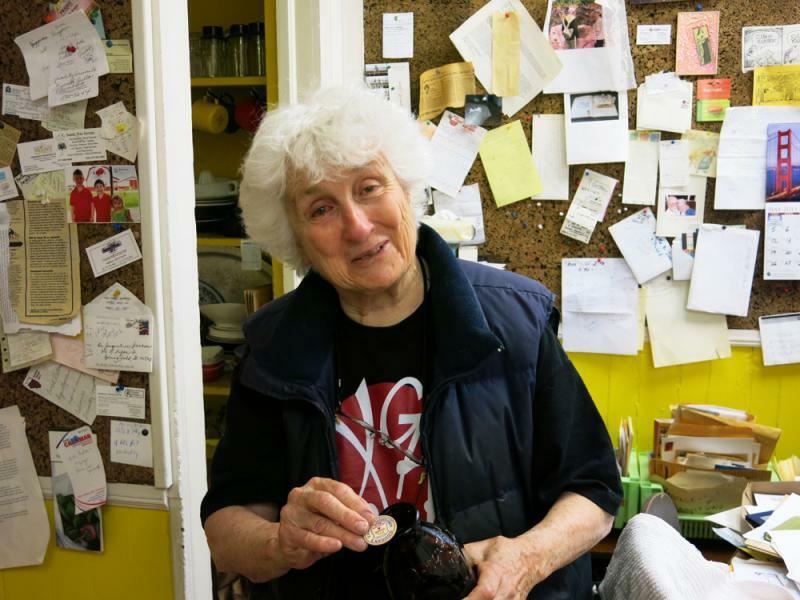 However, she has devoted a lot of time to her first 22 years, when she lived on a family farm near Beloit, Wisc. Jackson has written a couple of books of what she calls “creative nonfiction,” which she calls the “Round Barn” series, based on a distinctive feature on the family farmstead. In those books she relates tales from the farm life of her childhood, from her “grama’s” depression to tall tales told at the dinner table. “I feel as if I’m a native Turtle Township, (Wis.,) person,” Jackson said. “I began collecting stories (about the farm) actively in 1967, I have them in handwriting and transcribed. I’ve been writing about farming in Wisconsin from 1900-1972”. Jackson’ family owned both a dairy farm, starting in 1911, and then got into growing seed corn when hybrid corn was developed in the 1930s. Along with saving stories from the past, she keeps items from the past as well. 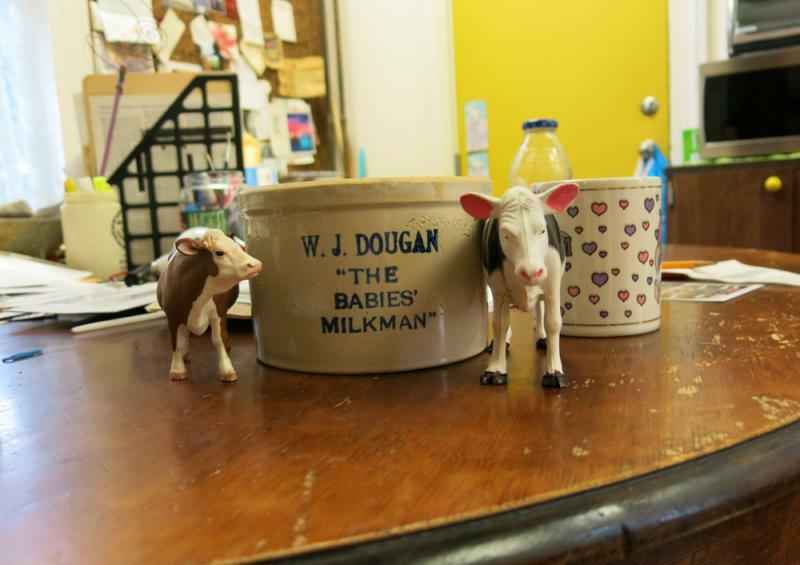 She is glad to show you a milk bottle and a milk cap from Dougan’s Dairy, her father’s early-century operation, which eventually closed as home delivery phased out. She can also display a bag of Dougan’s Hybrid Corn from the old days when seed corn was groundbreaking ag technology. Jackson isn’t shy about sharing her opinions or her writings. Along with the books she has authored, she has a poem published each week in the alternative weekly newspaper in Springfield. She doesn’t care for what she sees with more modern family practices, and ever conscious of her family farm, she’s critical of large corporations’ involvement in agriculture. “It almost seems hopeless for the small farmer and those that want to change farming or keep it human and humane,” Jackson said. Jackson is proud of the distinctive round barn on her family’s farm, and of her farm past. She weaves the barn into many of her stories and also into her philosophy of life. Share your Farm Roots story here. 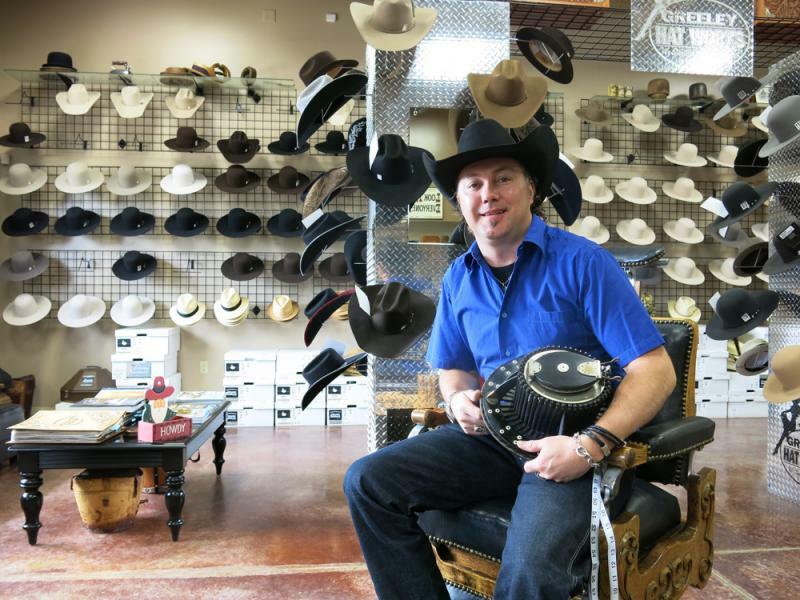 Trent Johnson didn’t grow up on a farm, but he was always enamored with the cowboy lifestyle. This story is part of the 2013 edition of My Farm Roots, a series from KBIA Radio's partner Harvest Public Media that chronicles Americans’ connection to the land. Click here to explore more My Farm Roots stories and to share your own.